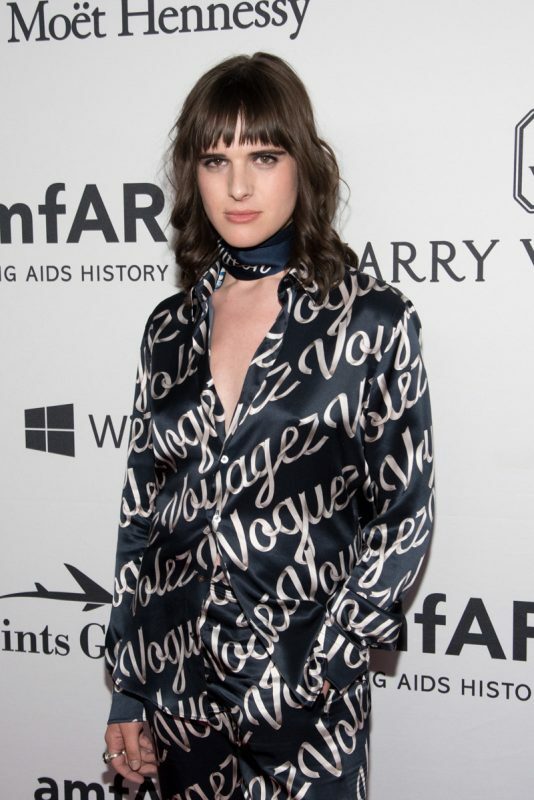 Last night, amfAR held its seventh annual New York Inspiration Gala, which honored Naomi Campbell and Louis Vuitton’s men’s artistic director Kim Jones for the first time. They were given the Award of Inspiration for their longtime support in the fight against AIDS and their decades-long dedication to amfAR. Whoopi Goldberg hosted the star-studded black-tie event, which took place at Skylight at Moynihan Station and brought out: Leonardo DiCaprio (who didn’t walk the red carpet, naturally), Kelly Osborne, Nyle DiMarco, Brandon Maxwell, Zac Posen, Selita Ebanks, Gabrielle Union, and Dwayne Wade (in Prada), Aya Jones, Mia Moretti, Ally Ertel, Andreja Pejic, Hari Nef, models Karrueche Tran and Lindsay Ellingson, Fredrik Eklund, Luis D. Ortiz, Eric Rutherford, Peter Brandt Jr. and Harry Brandt Jr., amfAR’s chairman of the board Kenneth Cole, and Zayn Malik, who presented Jones with his honor. “The first award goes to a very inspiring ina…ina-tive…innovative..I’m not really speaking well tonight..I’m a little drunk,” Zayn said when introducing the man who he credits for frequently dressing him. Wendy Williams was also on hand to give Naomi her award, telling the audience that the supermod is shy and was very nervous to give her acceptance speech—Naomi confirmed this by admitting she was nervous, too. In her acceptance speech, she spoke about her friends who have struggled with HIV and that a cure might be discovered by 2020 in large part due to amfAR. “There’s a long way to go, but let’s remember, this is not the end. This isn’t even the beginning of the end. But it is perhaps the end of the beginning,” she said. Post-gala, which raised $1.2 million, the crew headed over to Boom Boom Room, where mingling, selfies, and more dancing awaited. Josh Wood Productions and amfAR launched the Inspiration Series in 2010 to celebrate men’s style and fashion while raising funds for the foundation’s AIDS research programs. Inspiration galas have taken place in New York, Los Angeles, Toronto, Miami, Sao Paulo, Rio de Janiero, and most recently Cannes, raising more than $26 million for amfAR’s programs to date.